Ahead of this year’s Med-Tech Innovation Expo, Matt Chapman from the Knowledge Transfer Network tells us why UK medtech firms have plenty to be optimistic about. In the run-up to this year’s Med-Tech Innovation Expo, we all continue to hear about fantastic innovations in medtech with the potential to impact on our ageing society and on the multitude of health and care challenges that we face. From novel rapid point-of-care diagnostics to robotic surgery to applications of artificial intelligence in healthcare, these stories capture our imagination and show us what can be achieved through the ‘white heat of technology’. In the UK, we have a lot to be proud of. We benefit from a world-class science base, generating a flow of new knowledge which helps to populate a diverse pipeline of medtech R&D. This R&D activity, in turn, is supported by significant public and private investment, with a diverse range of centres of excellence, accelerators and clusters across the nation. Perhaps we don’t emphasise enough the value of the medtech sector to the UK economy. It’s a major employer, more so than the much higher profile pharmaceutical sector, with around 120,000 employees across over 3,000 companies. The sector has shown positive growth in both employment and turnover since 2011 and exports around £5bn of goods and services each year. And of course, the UK is home to the NHS, the world’s largest single-payer healthcare system, which affords us all with everyday miracles. As well as providing patient care, the NHS offers huge opportunities to trial and sell new products and services across the UK population, with our unique position of each patient having an NHS number allocated at birth or on entry into the NHS system. So the picture looks pretty positive - what’s the big deal? Well, as we all know, the UK medtech sector faces many challenges. These include being fragmented across multiple segments; being dominated by small and micro companies with limited resources and reach; running a trade deficit while European competitors, including Ireland and Germany, show significant trade surpluses; and addressing a domestic NHS market which is perennially slow to adopt and diffuse innovation, and which faces increasing cost constraints. But this isn’t a counsel of despair. At the Knowledge Transfer Network (KTN) we continually see examples of great new products and services impacting on the NHS, and there’s a multiplicity of support and funding available to expand on these successes. In recent years, government and industry have come together to tackle wider challenges through the Accelerated Access Review and the Life Sciences Industrial Strategy / Sector Deal, aimed at raising the intensity of R&D in the UK and strengthening the environment for clinical trials and adoption. Developments include the Industrial Strategy Challenge Fund, with opportunities for medtech around the ‘Healthy Ageing’ and ‘Data to early diagnosis and precision medicine’ programmes, plus the Digital Health Technology Catalyst initiative; new funding for the Academic Health Science Networks (AHSNs) to support adoption of innovation by the NHS; and the Accelerated Access Pathway for strategically important innovations. There’s also a wide range of support available from the Innovate UK ‘family’ of organisations. This includes funding from the Biomedical Catalyst; joint funding with the Office for Life Sciences (OLS) for SMEs to evaluate innovative medtech and to get involved in NHS Test Beds; and Innovation Loans to provide debt funding for late stage innovation. More broadly KTN, as the UK’s innovation network, can help with connections to funding, partners and expertise which can accelerate innovation – this includes our 4Manufacturing programme which helps manufacturing companies to take advantage of digital technologies and systems under Industry 4.0. Our sister network, Enterprise Europe Network (EEN), can help with internationalisation and has an extensive database of market and technology opportunities. And the wide-ranging Catapult network of technology and innovation centres provides access to expert technical capabilities and equipment, taking innovative ideas from concept to reality. 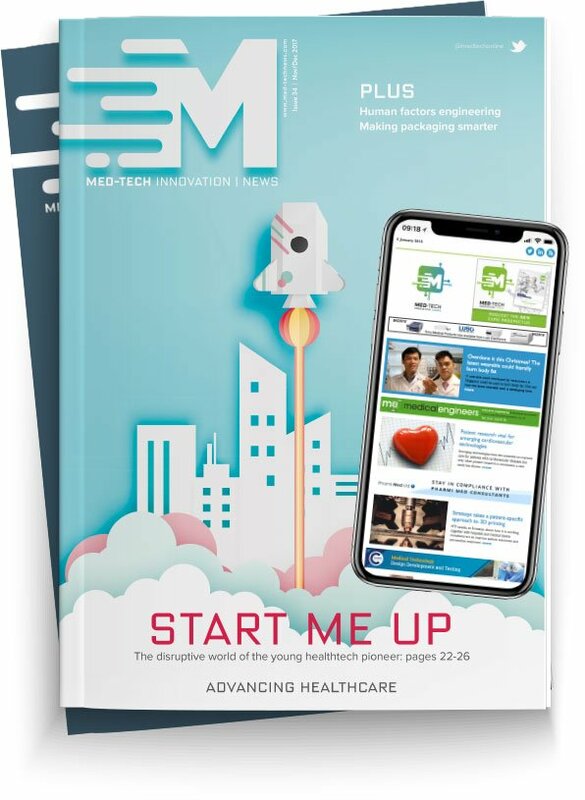 So, the landscape for medtech innovation may be complex and challenging but KTN can help medtech SMEs to connect to all of these opportunities. We’re pleased to be a partner in Med-Tech Innovation Expo, as the key annual UK focus for the medtech design and manufacturing community, and look forward to a great event!